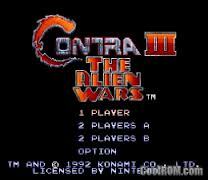 Contra III: The Alien Wars, released in Japan as Contra Spirits (魂斗羅スピリッツ?) and in the PAL region as Super Probotector: Alien Rebels, is a 1992 run and gun game for the Super Nintendo Entertainment System produced by Konami. 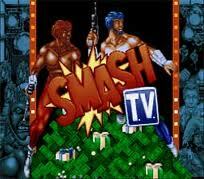 It is the third console iteration of the Contra series, following the original Contra and Super C for the NES.